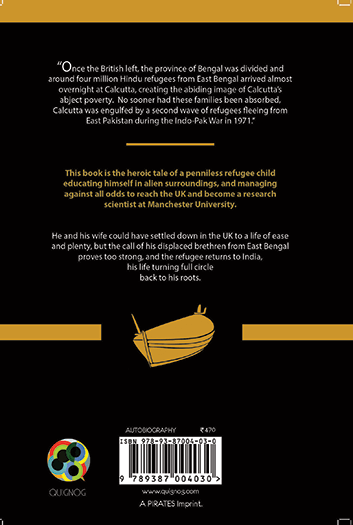 This book is the heroic tale of a penniless refugee child educating himself in alien surroundings, and managing against all odds to reach the UK and become a research scientist at Manchester University. He and his wife could have settled down in the UK to a life of ease and plenty, but the call of his displaced brethren from East Bengal proves too strong, and the refugee returns to India, his life turning full circle back to his roots. I want people to know what happened to me as a partition victim. From an aristocratic heir I was transformed overnight into an unknown street boy. I must start at the beginning of my life at Chowdhury Bari, in the village of Derai, situated in the Sylhet district of undivided India. Our village could best be described as pockets of dry land surrounded by ever-present masses of water. During monsoons, almost all the land became submerged. We used to move around in boats of all sizes and shapes. It was at Chowdhury Bari that seven generations of my family had passed their lives. Life, back then, was based on the Gram-Bangla foundation of unity, peace and brotherhood in undivided Bengal. Those were beautiful days. H.P. 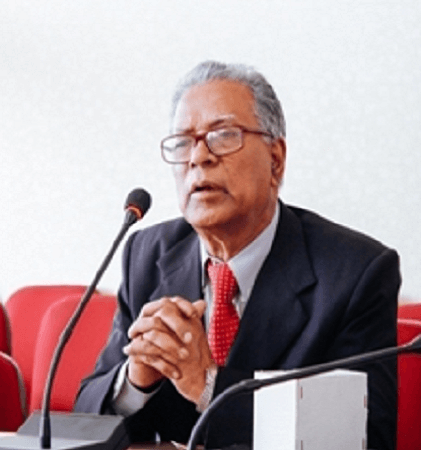 Roychoudhury is a partition victim. 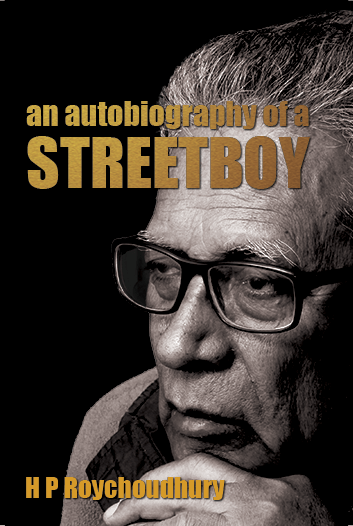 He came to India at an early age, leaving his parents and beloved ancestral home due to the unrest in the country. He studied in Assam, India. He obtained his Master of Science from Guwahati University and his doctorate from UMIST in U.K. He returned to India as he could not forget the sufferings of his family members and village people. He also became an LLB and entered into Guwahati High Court for practice. He has studied at length the political struggle of India to get the independence of India. He has also written books like India & the Globe(N), Akhand Bharat, Gandhi vs Jinnah, Control of Terror and Terrorists, A Silent Patriot of Bangladesh, My Journey & Sovereign United Bengal and The Contribution of Maniram Dewan & M.K.Gandhi in the Independence of India.